This is really two recipies. One I just learned and one has been in the family for many years. The octopus takes a bit of time but is worth the effort in my opinion. The spaghetti also takes a little time but not only does it taste amazing, it brings a smile to my face everytime I cook it. My Aunt Betty taught me this almost 20 years ago, really before I learned to enjoy cooking so much. I now think of her everytime I cook it. Flashback to last summer. My friend Greg was generous enough to take some of us fishing out of Valdez. Let’s just say it was a successful trip. 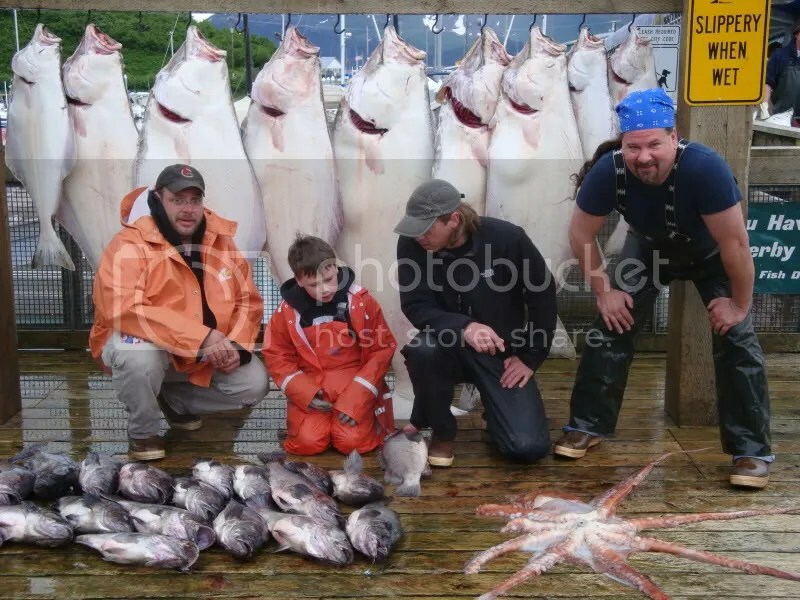 We got into some big halibut, as many black rockfish as we wanted to catch, and that octopus spread out at my feet. Everything else I have cooked many times. Not the case with octopus. Also this one being rather large I knew to do some research before I screwed it up. After coming across an article by Harold McGee, I figured I was in good hands. 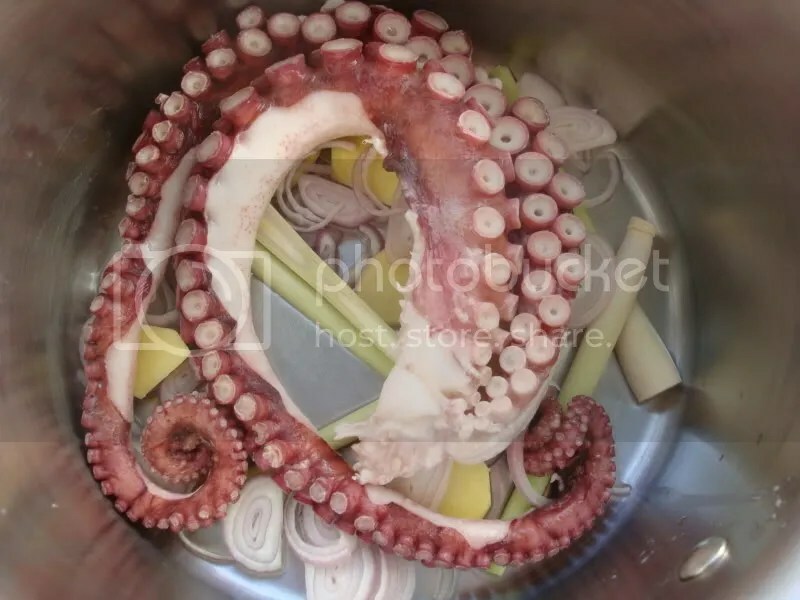 He suggests first blanching and then low temperature braising in the animals own juices to guarantee a tender octopus. So that is what I did. First I blanched a couple of tentacles. Notice just how much color the water takes on. That was after only blanching for about 4 minutes. I then put the octopus in a pan with a tight lid in a 200 F oven with some ginger, lemongrass, shallots, and a splash of sake. This was allowed to braise for 4 1/2 hours in the oven. I checked it after 1 hour and it was still really tough. After 4 1/2 hours it was tender but still had some resistance to it. I would compare it to a properly cooked scallop. So one piece was set aside for another meal. The other one became my dinner tonight. 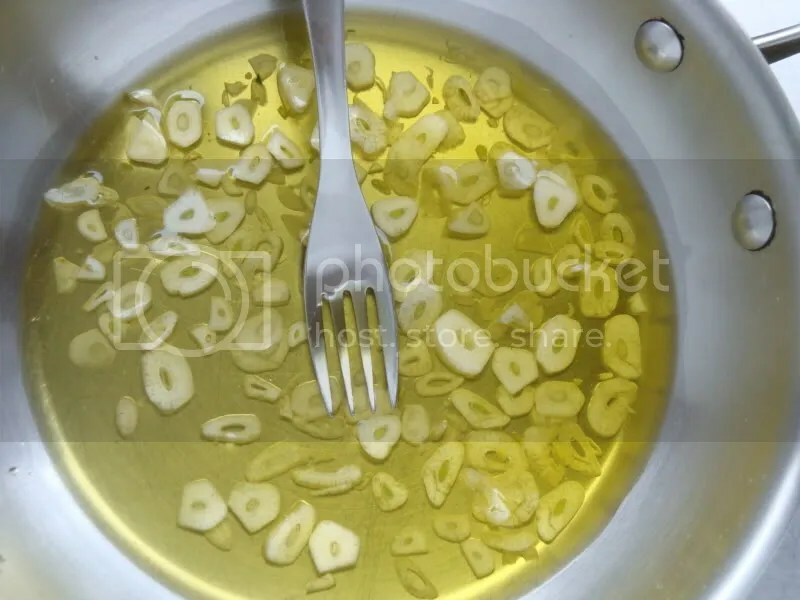 I wanted to do something rather simple so I marinated the tentacle in olive oil, lemon juice, and fresh oregano with a little salt and pepper. While that was marinating, I got started on the other dish. 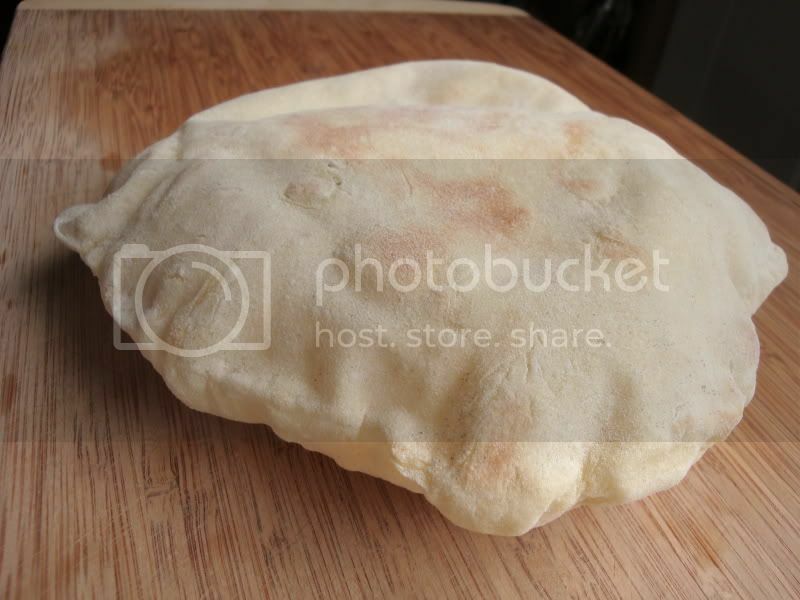 I still remember my Aunt teaching me this dish. First you chop up a bunch of garlic. I suppose you could just drop cloves in olive oil whole and toss them in the oven at a very low temp, but that was not how I was taught. I was taught to toss the sliced garlic in a skillet with a generous glug of olive oil. This is put on the stove at the lowest setting. If you start seeing bubbles it is probably too hot and you should set the pan to the side and allow it to cool. Every 5 minutes or so swirl the pan around and after 20-25 minutes you can start using your fork to smash the garlic. I think I messed with this for about 45 minutes to get it to this stage. It basically breaks down into amost a paste. 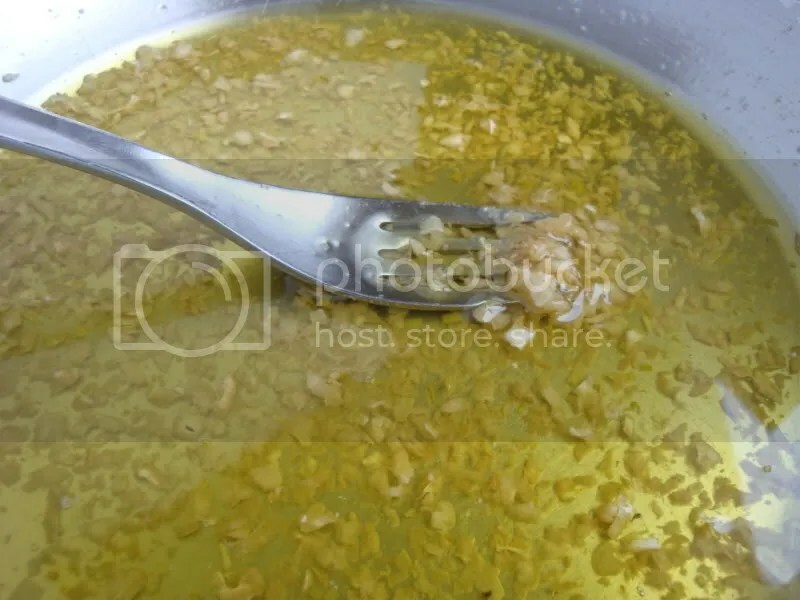 I poured off most of the oil and set this pan aside. Regular dried spaghetti goes into a pot of boiling salted water. The octopus gets tossed onto a very hot grill. I flipped the tentacle over after about 2 1/2 minutes and then pulled it off after another 2 1/2 minutes. I treated it kind of like a steak and allowed it to rest while I finished the spaghetti. When you spaghetti is al dente, pull it out and put into the skillet with the garlic. Be sure to get some of the pasta water in the pan as well. Over heat, incorporate the oil, garlic, a little pasta water, spaghetti, and some fresh Italian chopped parsley. Season with salt and fresh ground pepper. I then sliced up the grilled octopus and served. To finish I spooned just a little bit of the reserved garlic oil over the octopus. I also gave it a squeeze of lemon and some more black pepper before tearing in. This is my favorite kind of cooking. Just a few ingredients that are treated with utmost respect and cooked using proper simple techniques in a manner that really transforms them into something unique. My Aunt would be proud. ~ by climbhighak on March 5, 2011. So, kinda like a scallop? Very nice photo. I would say that it has it’s own very unique flavor but it does have some of that sweetness that reminds me of scallops. Love your site. The Food, pics, and writing are excellent. I have only been on the pacific while living in Panama, we caught dorado, red snapper, and grouper. Have never had halibut, it reminds me of flounder? Anyway Alaska is a great place for a sportsman to live from what I can see. Flounder are very similar to halibut. They are both firm, white fleshed, flatfish. Red snapper are also very similar in flavor to the black rockfish in the photo. 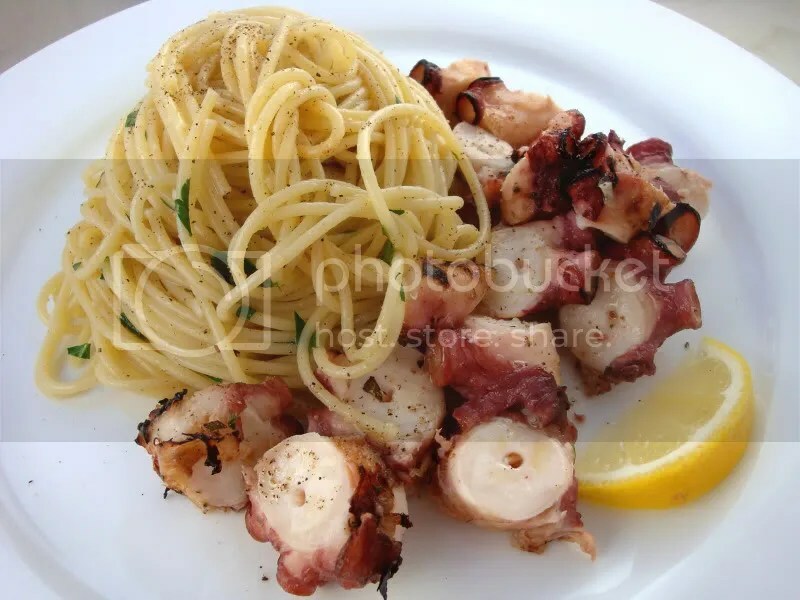 Your octopus looks amazing! 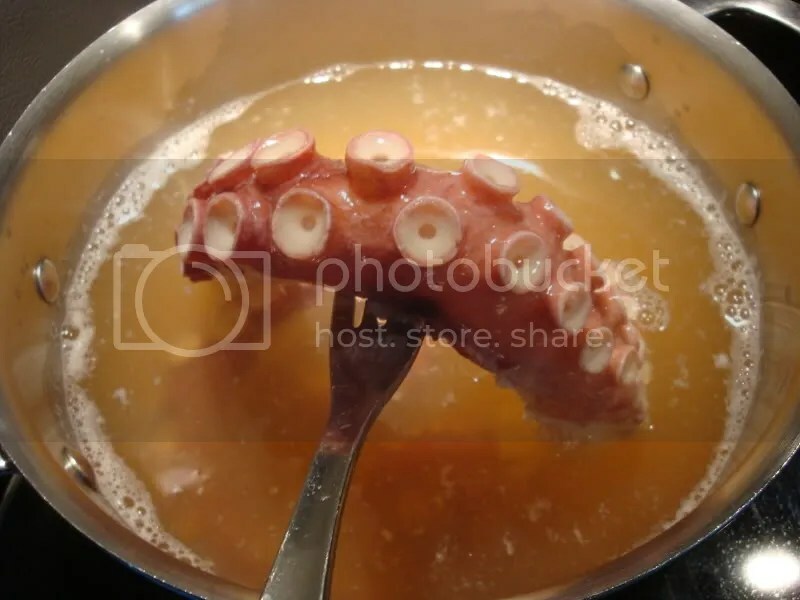 I have never cooked ocotopus, but your photos and blog post make me want to live near the beach again. Would love to try that octopus!!! Looks amazing – I like the top photo – shows perfectly the kind of place you’re living in. That spaghetti dish is so good. In the past I have been tempted to add grated parmesan but don’t. It will still be good but not the same. Simple is almost always better with Italian food.